Cut and polished in Germany this is a large and bold example of a relatively new find of this type of Opal in Tanzania. 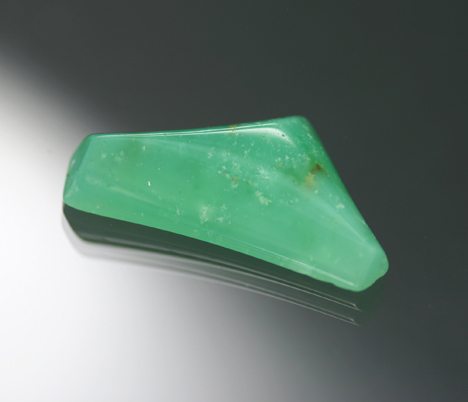 The color is similar to Peruvian material, perhaps a bit more green, and has easily drawn comparisons to gem Chrysoprase. A really intense and beautiful color - the only downside is that this was the only piece our supplier had!